Bolzano is located in the northern region of Italy and has an excellent combination of natural wonders, historic sights, and a vibrant modern style. Come and experience this special Italian city during your next vacation. From the medieval landmarks in the city center to the majestic Dolomites mountain range bordering the city, you’re guaranteed to be in for a treat when you come to Bolzano. Visit the Mareccio Castle, which dates to the 13th century, and the South Tyrol Museum which is home to the mummy known as Ötzi the Iceman. At the end of a day of exploration, you can enjoy a delicious Italian meal at one of the local restaurants. If you’re looking for something a bit off the beaten tourist path, but with all the best Italian charm and style, Bolzano is the place for you. 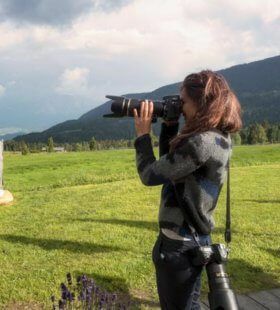 Our professional photographers in Bolzano know what makes the city truly special and how to capture these qualities in your vacation photographs.